Jan Noyes on Conwy Lloyd Morgan, the first psychologist to become a Fellow of the Royal Society. When Conwy Lloyd Morgan was born in London on 6 February 1852, Great Ormond Street Hospital was about to admit its first patient and the Earl of Derby was about to form a minority Conservative government after the resignation of Earl Russell as Prime Minister. The first public toilet for women in the UK opened in Bedford Street, London, a few months after the first ‘Gents’ on Fleet Street. Conwy Lloyd Morgan attended the Royal Grammar School, Guildford, Surrey, where, in his words, ‘Latin and Greek reigned supreme’, but in his teens he began reading George Berkeley’s A Treatise Concerning the Principles of Human Knowledge, a 1710 text on the nature of human perception. He became intrigued by how a science of the mind could link up with the physical basis of the mind, and how mental ideas we have could only resemble other ideas and not physical objects. This would logically lead to a physical world made of ideas and not physical form, which would have to come from some other force such as God. Lloyd Morgan often talked about an incident at his grandfather’s table when he was a child whereby his grandfather declared that if no one had experienced sausages, then people would not have any idea that there were things called sausages. This was followed by a series of questions about the existence of objects, most of which Lloyd Morgan could not answer – much to his disquiet. A significant moment for Lloyd Morgan was a physics lecture in 1870 given by Frederick Guthrie (1833–1886). Guthrie posed the question: ‘What lies at the bottom of things?’ He said there are two types of answer: ‘Why do things happen?’ and ‘What is it precisely that does happen?’ The first is outside the province of science while the second is exactly what science is trying to explain. When watching a moving billiard ball, is it just anatomical and physiological, or also mental, given conscious experience? The role of the mind, and at what point and how it comprehends the motion of the billiard ball, fascinated Lloyd Morgan. In 1878 Lloyd Morgan became a Lecturer in Physical Science, English Literature, and Constitutional History in the Diocesan College, Rondebosch, Cape Town, South Africa. His preoccupation with philosophy and the work of Berkeley and contemporaries continued: namely, that the physical world is a representation of the ideas present in the mental world. He also ‘wrestled with the problems of evolution’ and reread Darwin’s and then Romanes’ work on the animal mind. George Romanes, a friend of Charles Darwin and Thomas Huxley, was interested in the similarity of the cognitive processes being carried out by humans and animals. It is Romanes who is considered as having laid the foundations of comparative psychology. By his own admission, Lloyd Morgan was fully occupied with the day job but managed to publish The Springs of Conduct (1892), the textbook Animal Biology (1889), Water and Its Teachings (1882) and Facts Around Us (1884), and some papers on local geology relating to the Bristol region. However, his primary interest was in mental evolution, and he declared that in geology and zoology, he ‘was no more than a tolerably conscientious hireling’. He felt his contribution to the advancement of knowledge was in mental evolution, and he was interested in the boundary between instinctive behaviour and intelligence. During the vacations, he worked on the book Animal Life and Intelligence (1890–1891). This book marked a turning point for Lloyd Morgan as he decided he needed to move from extensively surveying facts and theories to ‘close observation under experimental conditions’. Thus, Lloyd Morgan’s approach became empirical. This was in direct contrast to Romanes and others, who used anecdotal evidence to support their claims. In a laboratory setting with incubators Lloyd Morgan studied newly hatched chicks and ducklings as he needed to observe the first occasion of instinctive behaviour. He also used moorhens and older birds, and dogs, and was rigorous in terms of research integrity and accuracy. He studied the way in which his terrier, Tony, opened the garden gate, and concluded it was a result of trial and error not insight. His empirical approach is summed up in this comment in his autobiography: ‘Drink always at the fountain-head in matters in which you are really interested.’ This is particularly pertinent today with social media, with the suggestion of not using third-party or second-hand evidence, but going to the source and forming your own opinion. In no case is an animal activity to be interpreted in terms of higher psychological processes, if it can be fairly interpreted in terms of processes which stand lower in the scale of psychological evolution and development. In the early 1890s Lloyd Morgan worked with James Baldwin, Henry Osborn and Edward Poulton on the Baldwin effect. In sum, this hypothesised that the effect of learned behaviour on evolution is such that the ability to learn new behaviours will affect reproductive success. In 2009, it was claimed that the Baldwin effect had been confirmed empirically. More books followed with Habit and Instinct (1896), Animal Behaviour (1900), Interpretation of Nation (1906), Psychology for Teachers (1909), Instinct and Experience (1912), Emergent Evolution (1923), Life, Mind and Spirit (1926), Mind at the Crossways (1930), Animal Mind (1930) and The Emergence of Novelty (1933). With these earlier books on animal behaviour Lloyd Morgan sought to find out the extent to which behaviour was ‘rational or reflective’. His aim was ‘to get at the mind of the chick or the dog or another’. He declared it was not easy because you had ‘to get down to the bare sensory foundations of one’s mental equipment’. His preoccupation was between the body-story involving physics and physiology, and the mind-story involving psychology, and he suggested that all experimental work in the laboratory, from the simple to the complex, helps us to understand the mind-story. His later books were more about the metaphysical, the nature of the human mind, and moved away from animal behaviour to understanding humans. As an example, he distinguished three stages of mental evolution: percipient (perceiving events in the moment without reflection), perceptive and reflective. Reflective behaviour can be defined in terms of teleology and if all goes well, there will be an end in some form of achievement in the future. The psychological question of interest to Lloyd Morgan was whether unreflective procedures in humans and to a lesser extent, animals, could be interpreted as a prospective reference to an anticipated outcome. Thus, he was interested in the self in terms of future events and reflective behaviour. He was also concerned with rationality and morality, especially in relation to the biological laws relating to human nature. 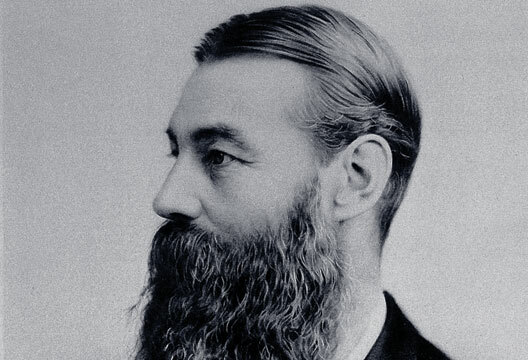 In 1899 C. Lloyd Morgan became a Fellow of the Royal Society (FRS) in recognition of his scientific work in psychology. He was the first person to achieve this in the field of psychology. The University Charter for the University of Bristol was granted in 1909 and Conwy Lloyd Morgan accepted the Vice-Chancellorship of the new institution. After around three months, he resigned and returned to teaching and research, as the Chair of Psychology and Ethics. In 1925 Lloyd Morgan retired to Hastings, Kent. He died at his home, 23 Elphinstone Road, on 6 March 1936. He is buried in the Borough Council Cemetery, Hastings.